The Ministry of Infrastructure Development is building a major bridge in Sharjah's Al Beda area at a cost of Dh200 million. The major project is expected to be completed in the third quarter of next year. 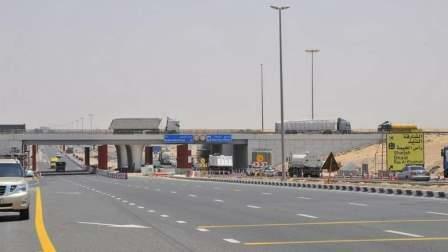 Ahmed Al Hammadi, manager of roads department at the ministry, said: "The bridge consists of six lanes on the Emirates Road and three lanes on the Sharjah-Mleiha Road." The bridge will attract the traffic flow from the northern and eastern emirates heading to the emirates of Dubai and Abu Dhabi, Al Hammadi added. "The project will significantly boost the capacity of the road from 9,900 to 17,700 vehicles per hour in all directions." The bridge will also reduce the trip time and ease the traffic congestions for those heading from Dubai to Sharjah and northern emirates in the evening, he said. "A new road will be built on the Mleiha road and a subway on the Emirates road to boost traffic flow from Dubai to Sharjah." The Emirates Road will also be increased to six lanes while the damaged parts at Intersection 7 on the Al Dhaid-Mleiha Road will be repaired, and the road will be connected with the under construction Mleiha Road. "The construction works of the three roads have already been finished, while some parts of the subways have been completed as scheduled," he said. "The mega development of the Al Beda intersection is based on the study of the traffic movement development in the coming 20 years."